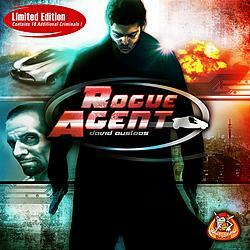 ROGUE AGENT is a fast playing easy to learn adventure/resource management/risk management game. The game uses fun streamlined icon-driven dice mechanics and a living city system that creates a dynamic board with characters and challenges in constant motion, creating unique situations with each play. Fight crime, defuse bombs, prevent assassinations and recruit informants...a typical day for an Agent in Rain City.